This tastefully furnished one bed apartment has been refurbished and decorated to a high standard. The condo consists of an open plan living and kitchen area, one bedroom, one bathroom and a balcony. Being fully and modernly furnished with handmade wooden furniture, the apartment is ready for you to move in to now! The modern kitchen is of a European style, with plenty of storage and work space, and is fully equipped with utensils, pots, pans, cutlery etc. 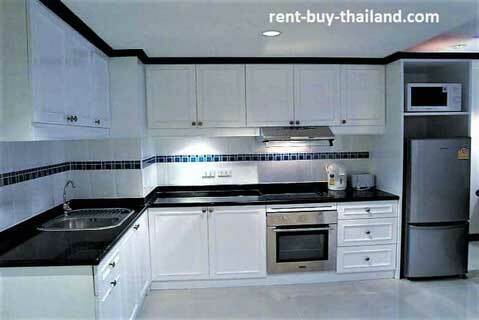 ; as well as having an oven, electric hob, extractor fan, hot water kettle, toaster microwave and refrigerator. 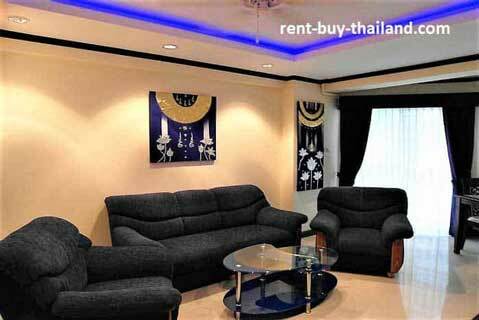 The living area includes a sofa, arm chairs, a coffee table, a flat screen TV with DVD player and display units. There is also a dining table and chairs and access to the balcony via large sliding doors. The large bedroom contains a double bed, a flat screen TV and good storage facilities including a double wardrobe, drawers, bedside tables and a dressing table. There is also access here to the balcony via large sliding doors. 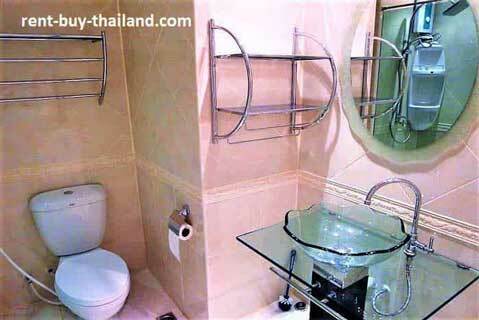 The bathroom is of a modern design; it is fully tiled and contains a glass basin unit, a toilet, storage facilities and a large walk in shower. The balcony comes with balcony furniture, providing you with lovely places to relax. 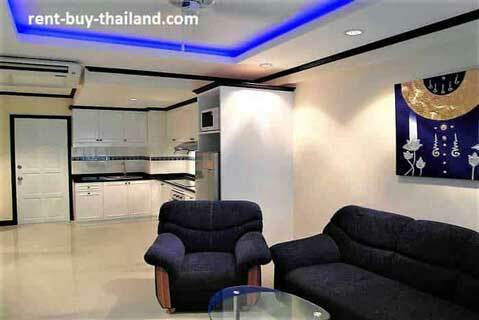 Jomtien Beach Condominium is a very popular and well maintained complex in Jomtien, close to Jomtien Beach. Jomtien offers a large choice of entertainment venues, bars, restaurants, shops, two fantastic night markets and a host of water-sports on the beach. The nearby Beach Road is the main route of the Baht Bus between Central Pattaya and Jomtien, costing just 10 Baht it is cheap, quick and easy to get around from here! Central Pattaya offers a wealth of activities and attractions, including a bustling nightlife and Walking Street! Jomtien Beach Condominium A buildings offers residents some great facilities, including: a large swimming pool, children's pool, a table tennis room, a fitness center, free use of bicycles, free parking, and a variety of services such as laundry, internet (available on a pay-as-you-go basis), shops, bars, restaurants, massage and beauty parlors; there is also 24-hour security. 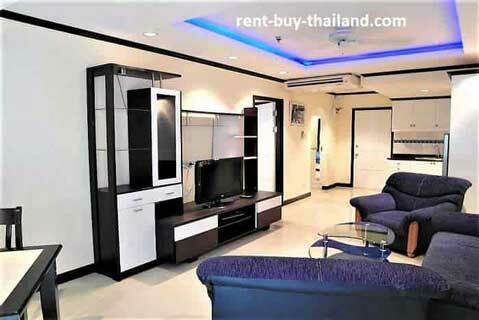 Thai apartments for sale - Easy payment plans available to help you own your condo, no credit check needed. 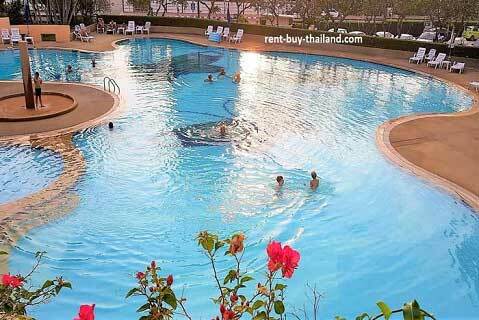 Rent in Thailand - we have a great selection of condos in Jomtien, Pattaya, Pratumnak Hill and Baan Amphur areas of Thailand we have studios, 1 bed, 2 bed condos, budget and luxury property available.